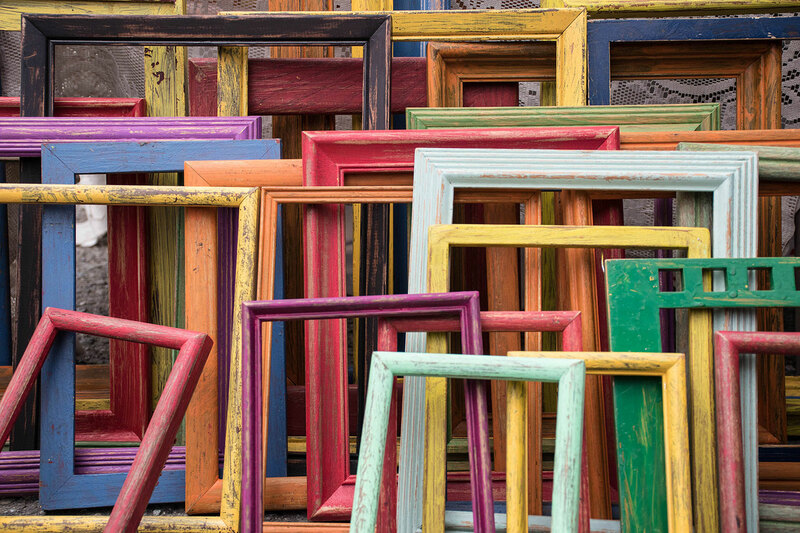 The demand for personalized shopping experiences is becoming increasingly popular each year. With the rise of Amazon’s personalized services like Amazon Prime Now, Amazon Fresh and even Amazon Go, many retailers are opening their eyes to the benefit of offering on-demand services like home delivery (car delivery?) and mobile shopping. Google is also getting in on the action through their recent launch of Google Express, a same-day delivery service that functions as an alternative (or companion) to buying online with Google Shopping. But what is Google Express exactly, and how does it measure up to Google Shopping? Read on for everything you need to know about how both services compare and the biggest differences for shoppers and merchants. The ability to shop online using Google is nothing new. Google Shopping, first launched in 2002 under the name Froggle but re-branded in 2012, is an online service that allows shoppers to search and buy products directly from vendors using Google’s search bar “Shopping” tab. Google Shopping is powered by Google AdWords and Google Merchant Center. This allows sellers to promote their products and increase store visibility by creating merchant accounts with Google and advertising their products using pay-per-click (PPC) ads. Merchants can manage bids, analyze shopping data, and optimize their product ads depending on performance in order to grow their own stores while providing shoppers with a better customer experience. 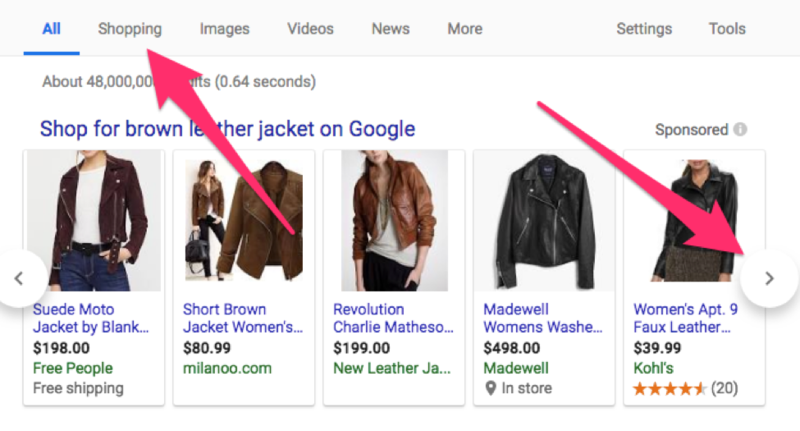 Though mostly aimed at sellers, Google Shopping offers customers a way to quickly find products through Google searches without having to access a separate site (though there is a shopping homepage available). According to Sidecar’s 2017 Shopping Benchmark report, Google Shopping now dominates 16.1% of the total online market, making it a contender with Amazon. What is Google Express and How is it Different? Google Express is an on-demand, online and mobile app-based home delivery service akin to Amazon Prime Now. Unlike Google Shopping, Google Express has a select number of merchants that use the service to deliver products, with big-name retailers like Walmart, Target, and Costco leading the pack. With slogans like, “The Simple Way to Shop Online” and “Need anything from the store?” Google Express aims to give shoppers an easier way to order and receive products from their favorite retailers without physically having to be in a store for pickup. Unlike Amazon Prime, Google Express does not have a membership system (it was removed in 2016) and instead has a minimum order requirement for free or discounted shipping. However, they still offer the same shipping benefits as Amazon, such as same-day, overnight, two-day delivery and discounts with certain retailers. Since expanding in 2016, Google Express services roughly 90% of U.S. shoppers. But how does it measure up to Google Shopping? There are some key differences that make Google Express and Google Shopping two entirely different experiences for both customers and merchants alike. Here are the five biggest differences and how they impact the overall shopping experience. One of the most noticeable differences between Google Express and Google Shopping is the access to specific merchants or sellers. With Google Shopping, almost any seller can create a merchant account (with Google Merchant Center) and use PPC advertising to list their products online. Google Shopping acts more as an ad display network than a true merchant platform. Shoppers are often redirected to merchant shopping carts or retail websites to buy directly from the seller sites. Merchants using Google Shopping’s network can create their own product feeds that include inventory and pricing data, but they will still rely heavily on their own websites for the shopping experience. This gives Google Shopping an advantage when it comes to diversity of merchants. Google Express is a distinct shopping service that offers both a centralized online shopping page and access through their mobile app. So far, Google Express only offers access to specific merchants. As of publishing this post, Google Express lists 49 retailers that partner with Google to offer home delivery through the website and app. While these range from trusted brands like Walmart, Target, Home Depot, and Guitar Center, it also includes lesser-known retailers that offer an array of products. The one product distinction between Google Express and Google Shopping is that Google Express is limited to specific, non-perishable items, whereas Google Shopping does not limit the type of product that can be purchased. This limitation may not matter to certain shoppers, especially considering Google Express offers a “one-stop-shop” experience compared to Google Shopping (see point #3). Another distinct difference between Google Express and Google Shopping is shipping and minimum order limitations. With Google Shopping, there is no set minimum of how much you have to buy, but there’s also no guarantee of free same-day or two-day shipping. 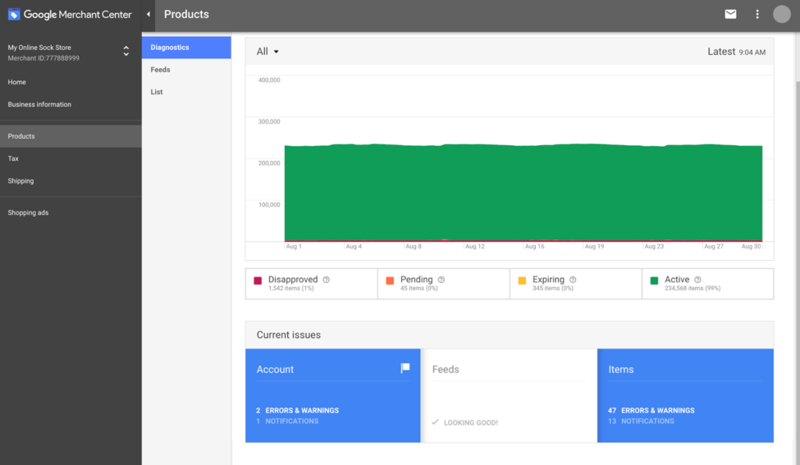 Shipping models are entirely dependant on the merchant, though Google offers guidelines for merchants on setting up and handling shipping issues through its service. Google Express offers free and discounted shipping based on a minimum order requirement. Shoppers will have to meet a $25 or $35 per-store minimum (depending on the store) to qualify for free shipping. Otherwise, they must pay a fee of $4.99 for smaller orders that fall below that limit. While Google Express does offer same-day, overnight, and two-day shipping, the actual arrival date of packages will ultimately be determined by the merchant, so packages could still arrive after three or more days in certain situations. Both services are impacted by the individual retailers who offer products, but the upside of Google Express is that it does have a customer service department that will handle any delivery complaints and work with the customer for a better shopping experience. With Google Shopping, customers must work directly with retailers to resolve shipping disputes. The Google Shopping and Google Express shopping experiences have some key differences. Because Google Shopping is tied closely with traditional Google search, the shopping experience mimics a traditional search with some Amazon-like additions. You can still shop from Google Shopping’s homepage, where products are sorted by predetermined categories, but unless you already know this page exists, it’s not the first place you will go. 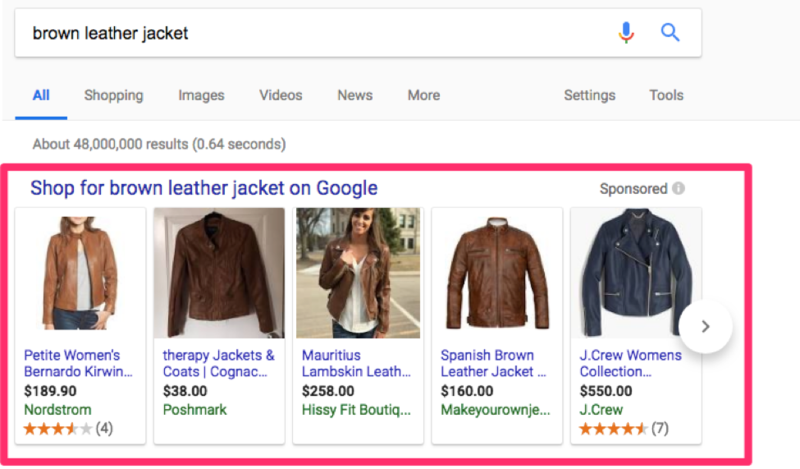 It’s far more likely that you will encounter Google Shopping ads when you type in keywords for specific items in Google’s search bar. This is typically the first Google Shopping experience shoppers will have. You can see more content by clicking on the arrow in the display box or by choosing the “Shopping” button at the top of the page. Clicking on the shopping button will bring you to another page where more items are displayed, and results can be filtered further by color, price, seller, and so on. The Google Express shopping experience, on the other hand, is a bit different. 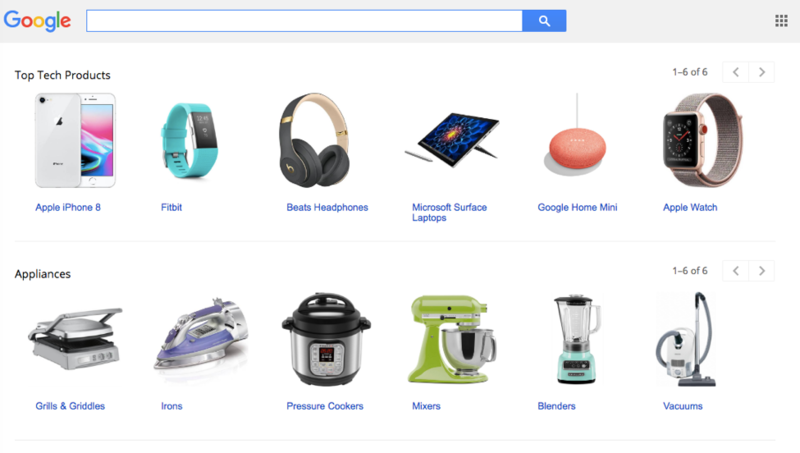 Similar to Google Shopping, you can shop directly from the Google Express homepage on your desktop. 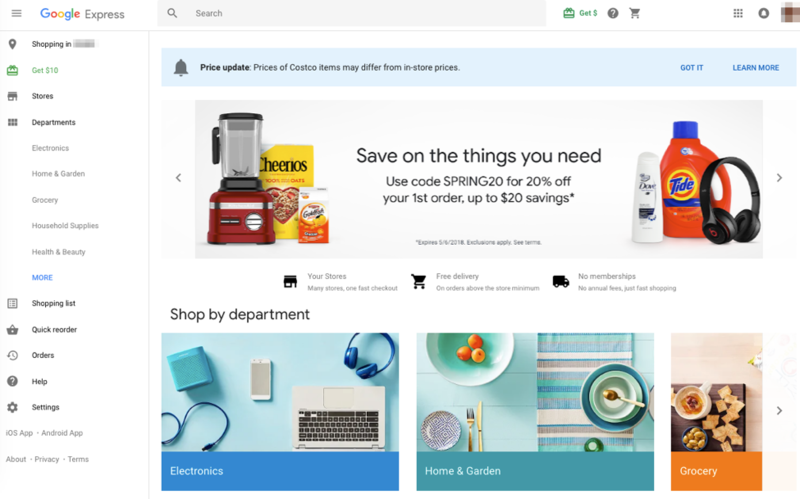 The Google Express homepage layout is more similar to Amazon’s homepage when compared to Google Shopping’s homepage, which means that Amazon shoppers may find Google Express more appealing. 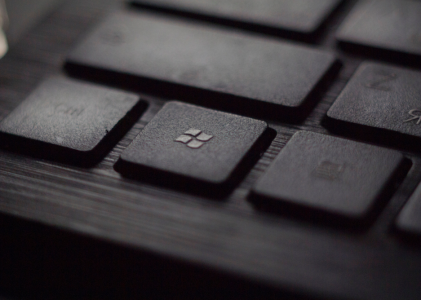 But the main difference between the two platforms is the mobile experience. You can also access Google Express through its mobile app available on Google Play (Android and Google devices) and iTunes (iPhone, iPad). This offers a much smoother experience when shopping on mobile devices compared to Google Shopping using a mobile browser, and it feels familiar because it’s similar to Amazon’s shopping app. Since Google promotes mobile app usage, this is probably the first experience shoppers will have with the platform. In terms of a cohesive shopping experience, Google Express offers a central location to buy from, both on mobile and desktop (like Amazon’s shopping experience). Comparatively, Google Shopping is more helpful for those who search for product information or shop via desktop. What happens if you want to return a product purchased from either Google Shopping or Google Express? The rules are a little different for each platform. Google Express allows merchants (Target, Walmart, etc.) to set their own return policies, but encourages merchants to follow a standard return policy. This policy states that products in new or as-delivered condition can be returned in 30 days, either shipped to the original location or returned to the store in person. It also notes that refunds should be for the full amount and processed within 7 business days, although this may be processed differently depending on the store’s specific return policy. 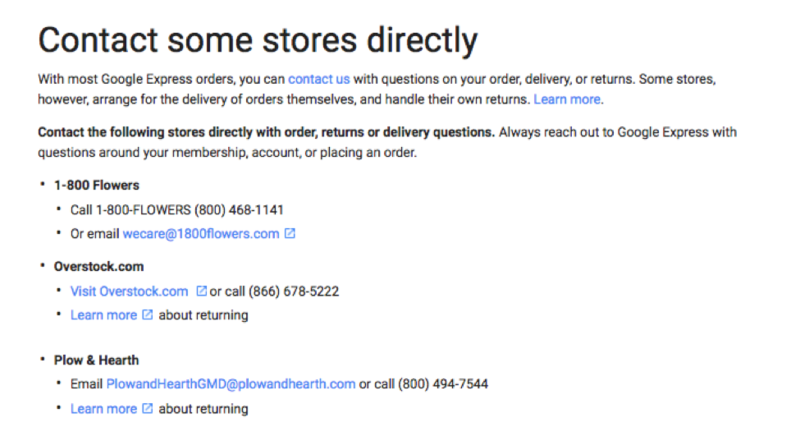 Google also allows shoppers to contact their customer support team via email, call, or live chat with any questions or concerns about product returns, and will also assist customers in contacting stores directly for more complicated returns. Google Shopping, on the other hand, simply defers to the merchant’s return policy and has no stated policy of its own, though they do stipulate that merchants must provide customers with access to their written return policies. In terms of the return experience, both Google Shopping and Google Express customers will ultimately rely on the individual merchant or seller to resolve returns, although Google Express offers more direct support for the process. Google Express items can also be returned in person to the store, which may be more appealing to customers that have a hard time returning items via mail. 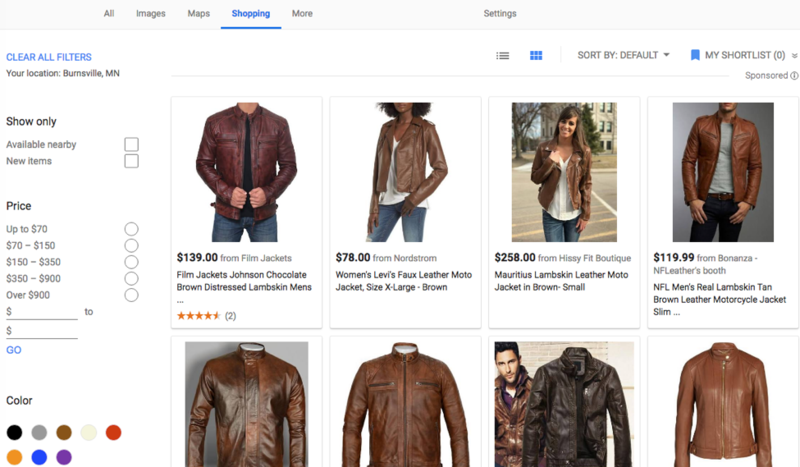 Google Shopping allows you to find products based on your current location by using the “Available nearby” filter when you’re using Google Shopping from a desktop. You can also type your location into the search bar along with your product keywords and Google will populate a list of local stores that carry the product (if any exist). This system works well for those that want to shop straight from Google’s search bar, but it’s not as user-friendly as Google Express’ shopping experience. 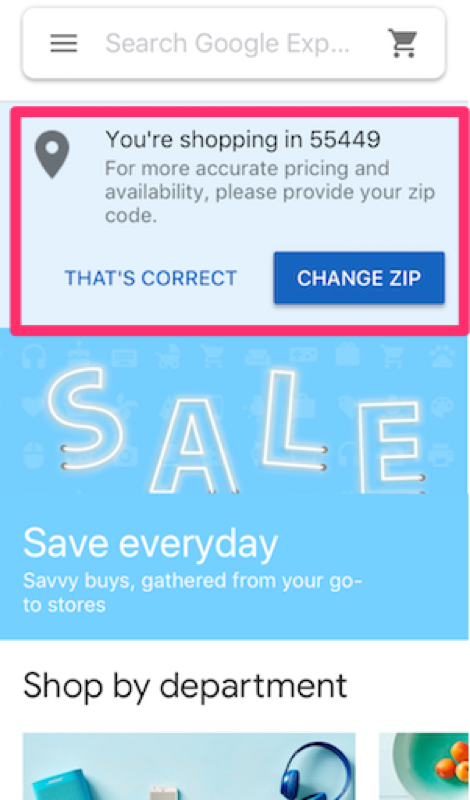 With Google Express, local information (zip code) is already applied to every search, and Google automatically finds the closest available product to ship, although it does allow you to change your location if needed (Google Shopping typically does not). By using local information, Google Express can ship certain products faster — similar to how Amazon delivers products via their local warehouses — though you may have a more limited selection if your local store is out of stock. With Google Shopping, you may not always have control over where the product is shipped from, but you may have more selection. Depending on your preferences for local shopping, shipping speed, and availability, one choice might make more sense over the other. Although Google Shopping and Google Express are both powered by Google, each service has its own features and limitations. Google Shopping has greater access to merchants and a broader range of products, but customers must deal directly with sellers and may or may not receive discounts on things like shipping. While it’s perfect for those that love to shop using Google’s search bar, it’s not ideal for those who want a centralized location or app to shop from online. Google Express offers a shopping experience akin to Amazon Prime, with discounts on shipping (for orders that are over the minimum) and a centralized mobile and web shopping experience, though it’s more limited in merchants and product availability. For customers who already shop from those trusted brands, however, it may be the perfect platform for shopping online, especially if you already love Google.